Projx Construction Group is a nationwide company providing a variety of general contractor and design/build services for residential, commercial, and special projects. 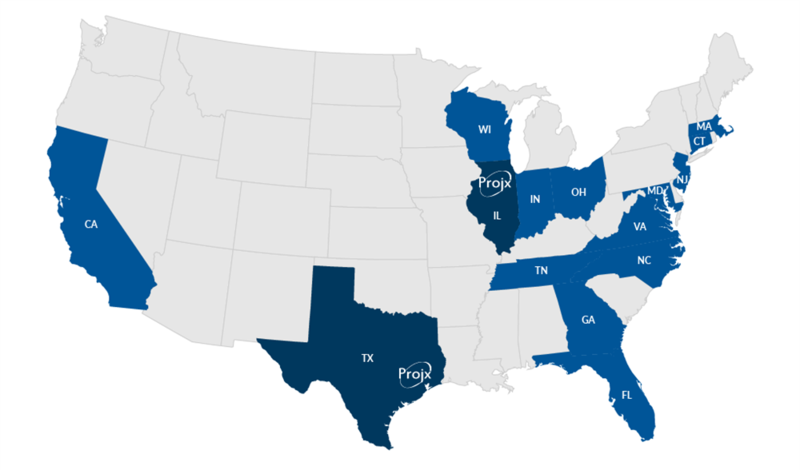 With headquarters in Chicago and Houston, Projx has focused on franchise relationships nationwide and put in place processes and systems to provide success on jobs around the country. Projx assures a quality product delivered on time to our clients by building teams nationwide. We have worked in many states over the years including California, Connecticut, Florida, Georgia, Illinois, Indiana, Maryland, Massachusetts, New Jersey, North Carolina, Ohio, Tennessee, Texas, Virginia, and Wisconsin. We are continuously expanding into new states and look forward to future Projx around the country.